MLML empowers future marine science leaders by providing them with unparalleled access to education, tools, environment, and a community necessary to understand marine processes and their interactions with social issues. This Strategic Plan for the next five years is based on four intersecting priorities: Education and Student Success, Research, Societal Benefits and Infrastructure and Funding. 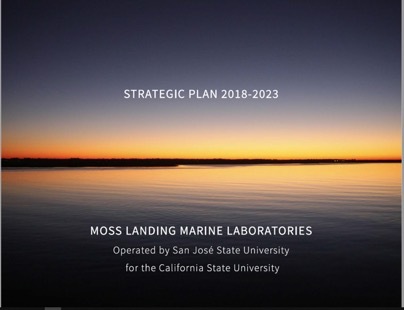 The success of this Strategic Plan, and the future of MLML, is ultimately tied to strong partnerships with our San Jose State University and other CSU consortium campuses. We have outlined an ambitious plan to greatly expand the footprint and impact of MLML in the world of marine science. We welcome the challenge, will strive for excellence, and look forward to the bright future our plan articulates. We welcome your feedback! Please email us at info@mlml.calstate.edu or call us at 831-771-4400.